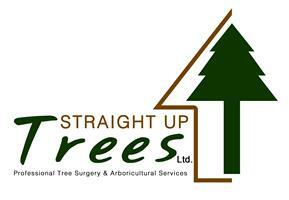 Straight Up Trees Ltd - Tree Surgeon based in St. Leonards-on-Sea, East Sussex. Experienced tree surgeons in East Sussex. With a team of passionate arboriculturists and vast expertise acquired over 12 years, Straight Up Trees Ltd is the one-stop shop for all your tree-related needs. Click on www.straight-up-trees.co.uk or the yell.com listing for a comprehensive list of our services and qualifications. From tree surgery and garden services to tree surveys for large and small projects, we offer a host of specialist services that cater to both commercial and domestic requirements. Whether you are an individual who needs a tree felling in your garden, or a public body that needs consultation and expert advice, we are happy to help. The founder of Straight Up Trees Ltd also works as a forestry and arboriculture lecturer and instructor at Plumpton Agricultural College, which enables us to keep abreast of all the developments in this field. We are based in St Leonards-on-Sea and serve East Sussex, Kent and the surrounding areas.